CT-90 is specially formulated cutting, tapping, reaming and drilling lubricant fluid which will not breakdown under extreme pressure. A coating of CT-90 cutting and tapping fluid will allow swarf and cut chips of metal to be removed by the cutting tool with less friction. CT-90 cutting and tapping fluid requires less effort when cutting is required for even the hardest metals. CT-90 improves the surface finish and cutting times are reduced.CT-90 cutting and tapping fluid has been formulated to be suitable for all types of steels and ceramics, even high tensile steels. 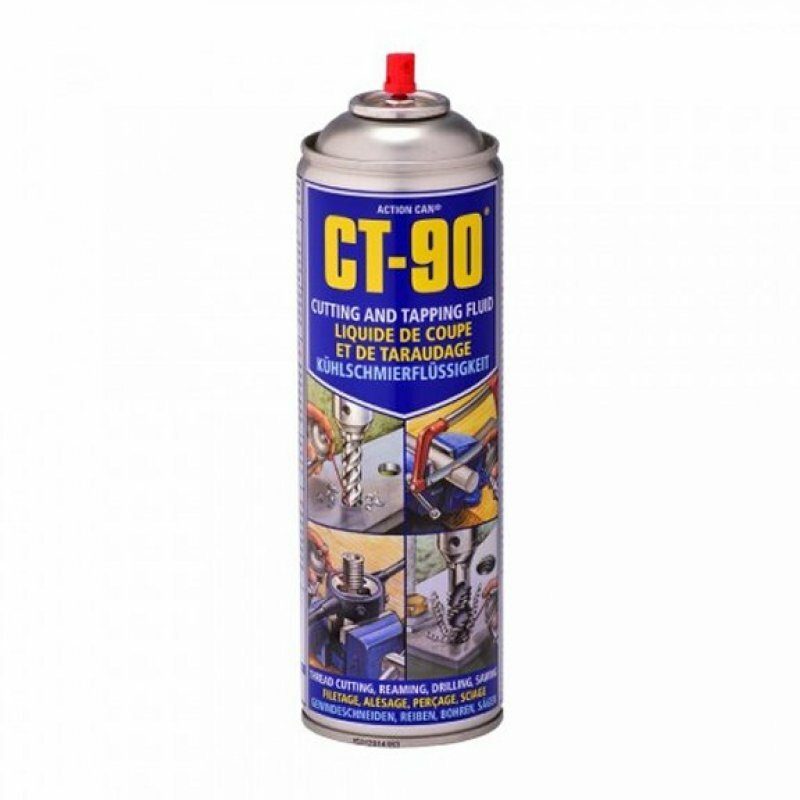 Due to the active nature of this product there is a risk of staining if the product is used on some yellow metals.CT-90 cutting and tapping fluid will not mix with water. 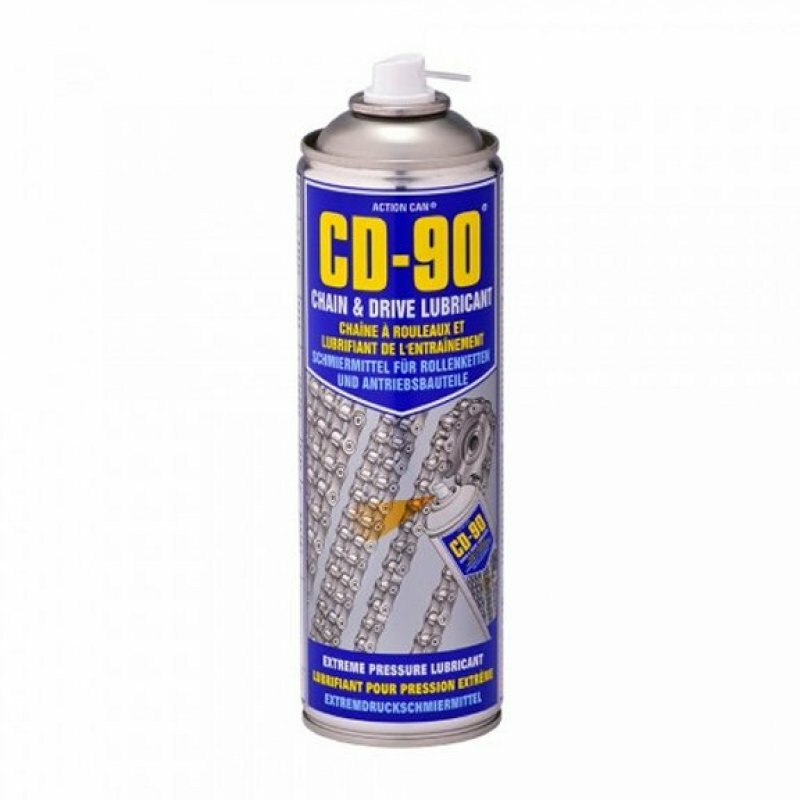 CT-90 cutting and tapping fluid can be removed with all common industrial degreasers and solvent cleaners. CT-90 can be removed by using Action Can product TF-90.Apply CT-90 cutting and tapping fluid during the drilling operation. CT-90 cutting and tapping fluid will increase drilling efficiency and prolong drill bit life. Take with moving parts. During thread cutting apply CT-90 cutting and tapping fluid to the die or tap. CT-90 cutting and tapping fluid is suitable for both machine and hand operation. Use CT-90 cutting and tapping fluid while threading pipe work to reduce the risk of thread wall deformation.Apply CT-90 to hacksaw blade before and during the sawing operation. 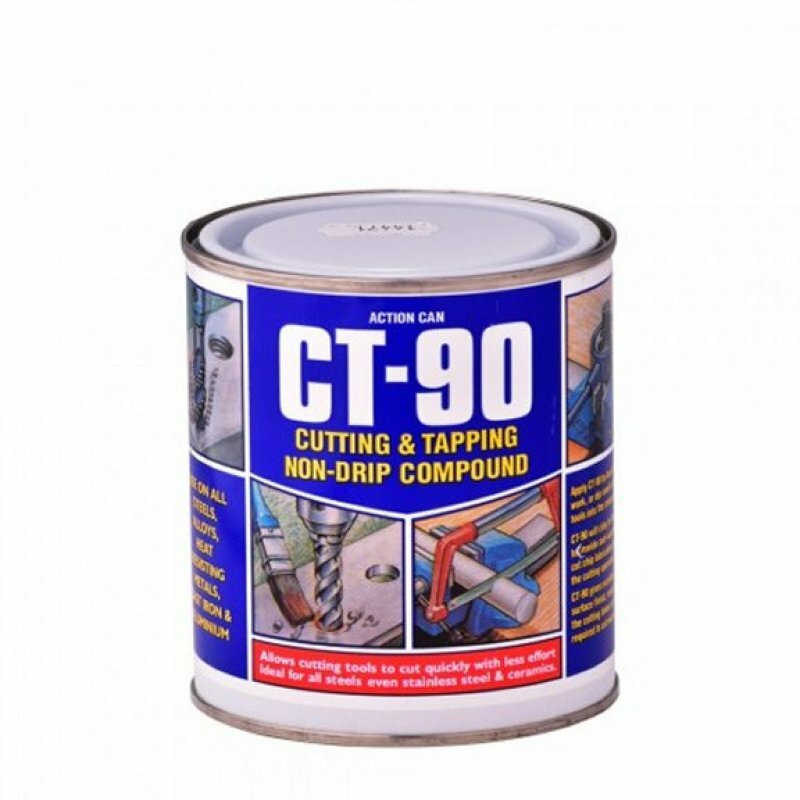 CT-90 cutting and tapping in compound is suitable for dipping or brushing application.CT-90 is silicone free.